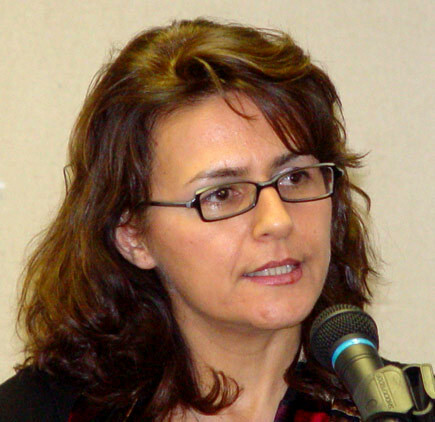 PanteA Bahrami is an internationally recognized documentary filmmaker with a doctoral degree in Journalism from the University of Dortmund and the Institute of Theater, Film and Television, Cologne University, Germany. She wrote her Ph.D. dissertation on the subject of “The Feminine Role in Iranian Films: A Comparison of the Identity of Women Before and After the Revolution”. She has worked as a journalist for Ruhe Welle and WDR (German Radio and TV); and as a Producer for the Persian TV Program, “Ressaneh” broadcast by Florian TV in Dortmund. She started her work as a documentary filmmaker in 1998 and has created 20 documentary films during the past decade, among which are: “Islam: My Identity or the Reason of My Escape”, selected at the 11th Women’s Film Festival Feminale in 2002; “Playing with Fire,”; awarded the Erasmus-Euro Media Siegel Prize in 2007; and “From Scream to Scream,” nominated for Julian Bartel Prize in 2007. Many of her works have been shown at various international film festivals around the world. A former political prisoner who spent four years of her life in the prisons of the Islamic Republic of Iran, her latest documentary films focus primarily on the issues of human rights, women’s rights and political freedoms, particularly in the Islamic countries. Her latest documentary, “And in Love I Live,” (2008) has been produced on the occasion of the 60th Anniversary of the UN Declaration of Human Rights and the 20th Anniversary of mass execution of the political prisoners in the Islamic of Iran in the fall of 1988. For a full description please click on this link.